The Festool Roadshow will be making a stop at our Newmarket showroom on Friday 7th July. Hugely popular with Festool fans and other visitors, the unique Festool truck opens out to show a full range of power tools and accessories. It’s a great opportunity to find exclusive deals on Festool power tools that will only be available on the day. For a flavour of what to expect on the day, check out the video below. 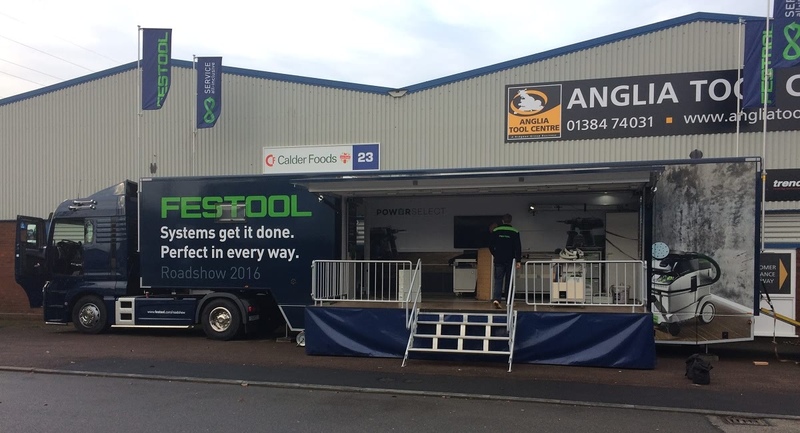 A big success in 2016 (see below taken at our Brierley Hill store), the Festool Roadshow gives you the chance to test a range of Festool products first hand. If you have any questions about the show please call our Newmarket showroom on 01638 564775. The ATC team look forward to seeing you there on the 7th July.